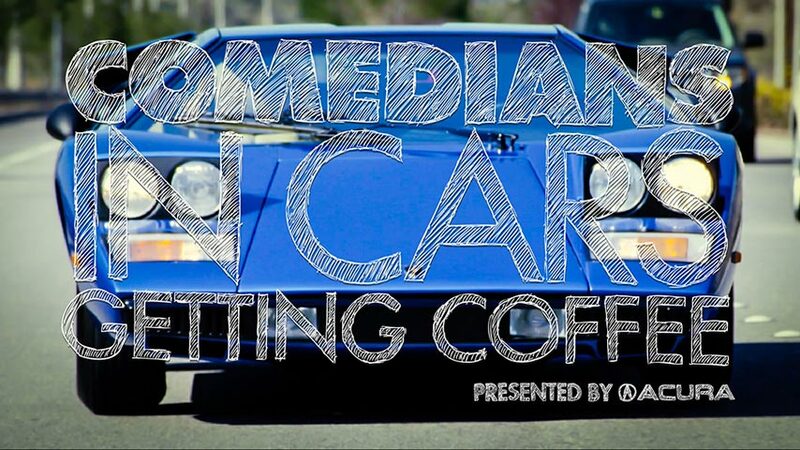 Nixon Motor Sports: New Season: Comedians in Cars Getting Coffee! FACT: Jerry Seinfeld is a funny guy. FACT: Jerry Seinfeld loves cars. FACT: Jerry used to have an eponymous TV show. FACT: Eponymous just means it's named after you. FACT: Jerry's "Comedians in Cars Getting Coffee" is a unique on-line-only "show" where he rides in a cool car, picks up one of his comedian friends, and they go get coffee. As they talk, hilarity ensues. FACT: The next season of CICGC will feature: Julia Louis-Dreyfus, Jim Carrey, Steve Harvey, Stephen Colbert, Bill Maher, and Trevor Noah.